Seeing a sports injury chiropractor is an important part of recovering from a sports-related injury. At Fearn Natural Health Clinic our sports injury chiropractors offers quality care for spinal, skeletal, muscular, and joint injuries. We combine a variety of physical therapy moralities, including, adjustments, stretching, massage, and exercise programs to speed up your recovery and help your body heal in good form. 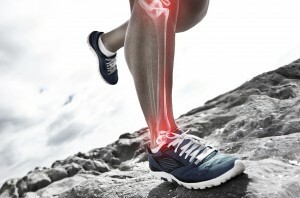 We diagnose, treat, and aid rehabilitation most sports injuries. Sports injuries are almost always musculoskeletal in nature. Chiropractors are trained specifically to care for this area of the body. Chiropractors are very well trained and qualified in sports injury treatment. Our sports injury chiropractor takes a holistic approach to your care. When any area is injured it affects those around it. Joints, muscles, tendons, fascia, and bones are connected and when one area is tense or immobilized due to an injury, it will cause tension in the the connected areas. A knee injury, for instance, may cause problems all the way up to the the hip joint and the lower back. An isolated treatment that does not address the body as a system of interrelated parts will fail to alleviate the related pain, tension, and misalignment the injury causes. Our sports injury chiropractor takes multiple avenues of gentle treatment to help the body heal in alignment, both the directly injured area as well as the interrelated systems. Keeping the body limber and in correct position is one of the best ways to avoid a sports injury. Our sports injury chiropractor helps keep your body in alignment as prevention from a future sports injuries. Our massage therapist and chiropractor work as a team, increasing your flexibility and circulation while making adjustment to keep your body in correct alignment. All of these decrease your likelihood of injury while working out, running, or generally being active. It will also help you achieve your optimal level of performance. With the goal of helping you achieve optional health, our chiropractor, practitioners, and staff are all here to support you. From the moment you step through our door we take the time to get to know you. We believe in open, honest communication, forming a true partnership supporting your health and well-being. Contact us today to find our more about your sports injury chiropractor in Vancouver, WA.